2 oz. SPORT & TRAVEL SIZE! Chiropractor's Blend Joint & Muscle Ezze Relief EXL 2™ Roll-on is a topical analgesic that is fast acting with clinically proven ingredients to provide fast, long-lasting relief for muscles and joints. 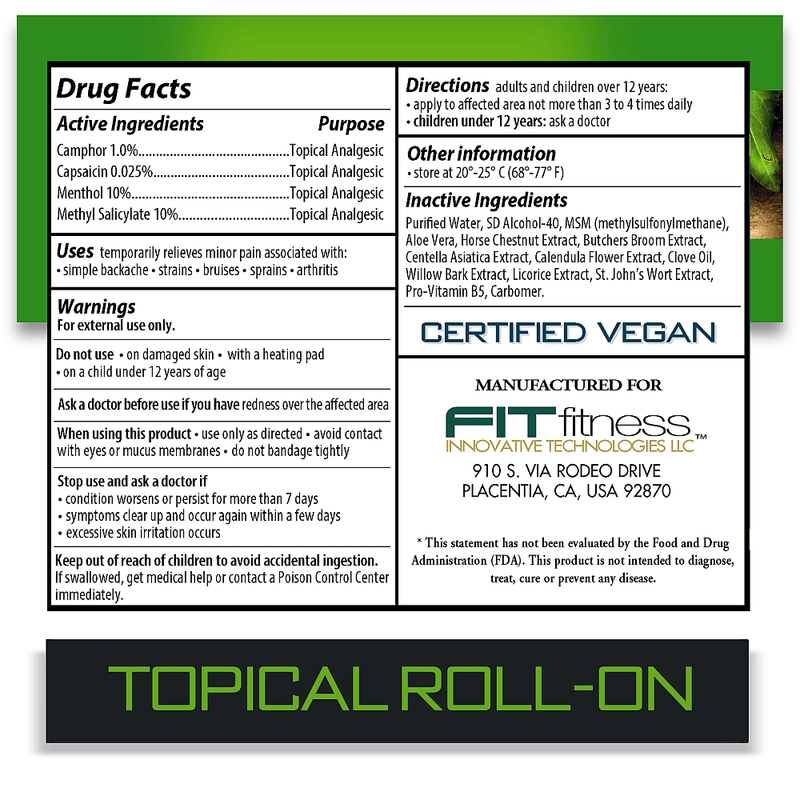 The active ingredients in Chiropractor's Blend Joint & Muscle Ezze Relief EXL 2™ Roll-on (Menthol, Methyl Salicylate, Camphor, Capsaicin) have displayed years of clinical research indicating their benefits as a topical analgesic and are a safe and effective means for pain management. 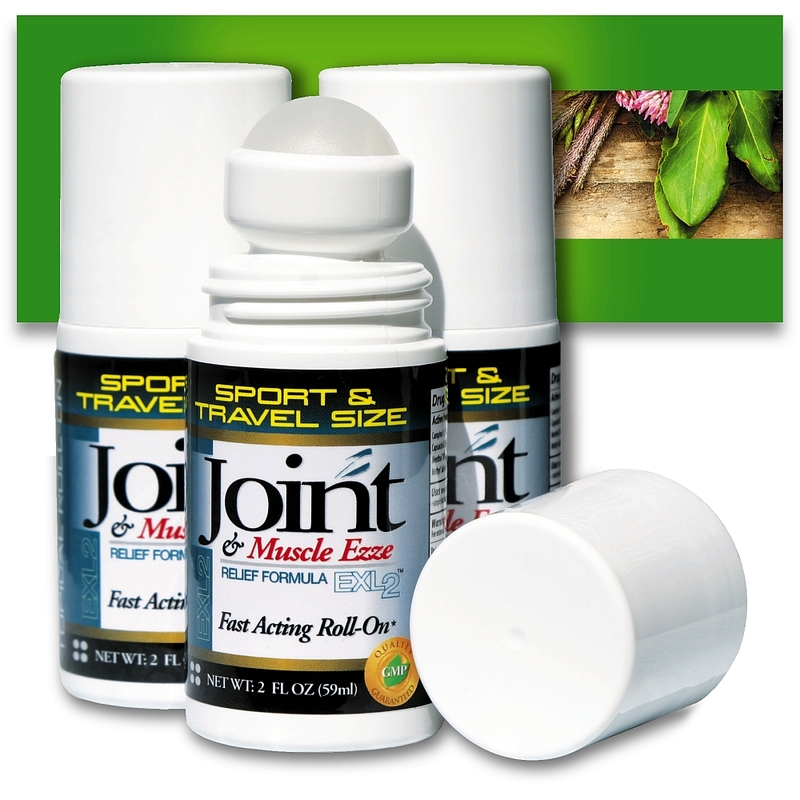 Chiropractor's Blend Joint & Muscle Ezze Relief EXL 2™ Roll-on combined with Chiropractor's Blend Joint Relief EXL 2™ capsules creates a powerful inside and outside combination for fighting joint pain. Relief may be only a Roll-On away. There is nothing so important in your life than your health, and that means creating a program of fitness and nutrition. It is critical to use vitamins and supplements, and that is where Chiropractor's Blend comes in. Chiropractor's Blend supplements are the natural path to wellness. Designed to help your body in many different areas including weight loss, migraines, joint pain, menopause, stress, etc, it's the natural alternative for whole body health. With protein powder, vitamins, minerals, organic nutritional supplements, herbs and botanicals, these natural nutrition products are supplements you can trust to deliver the highest quality for your own and your family's health and wellness.